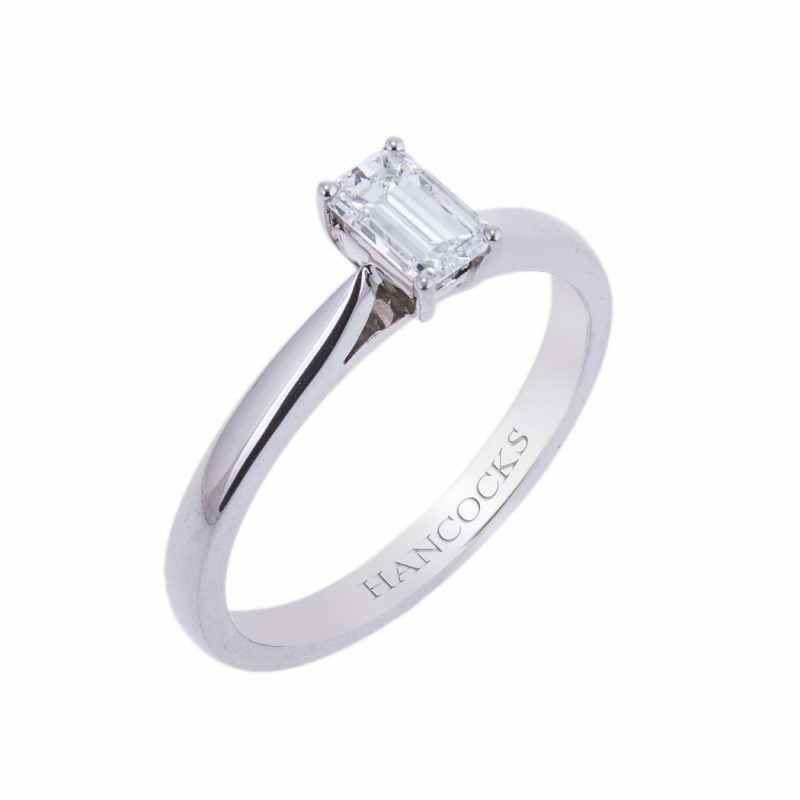 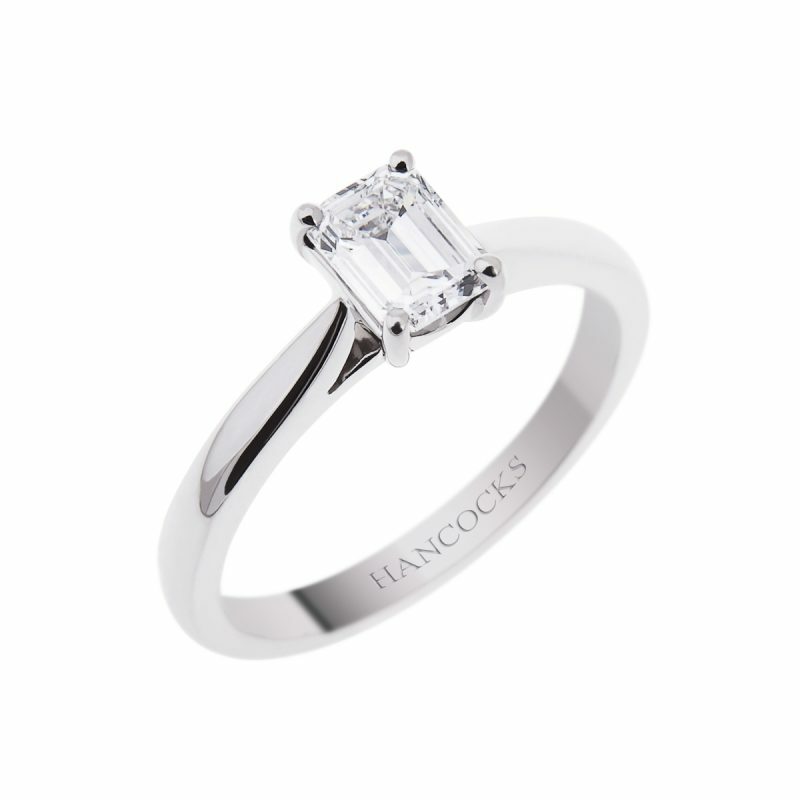 The elegant shape of this emerald cut diamond solitaire is a perfect choice for someone looking for a classic but timeless design thats a little bit different. 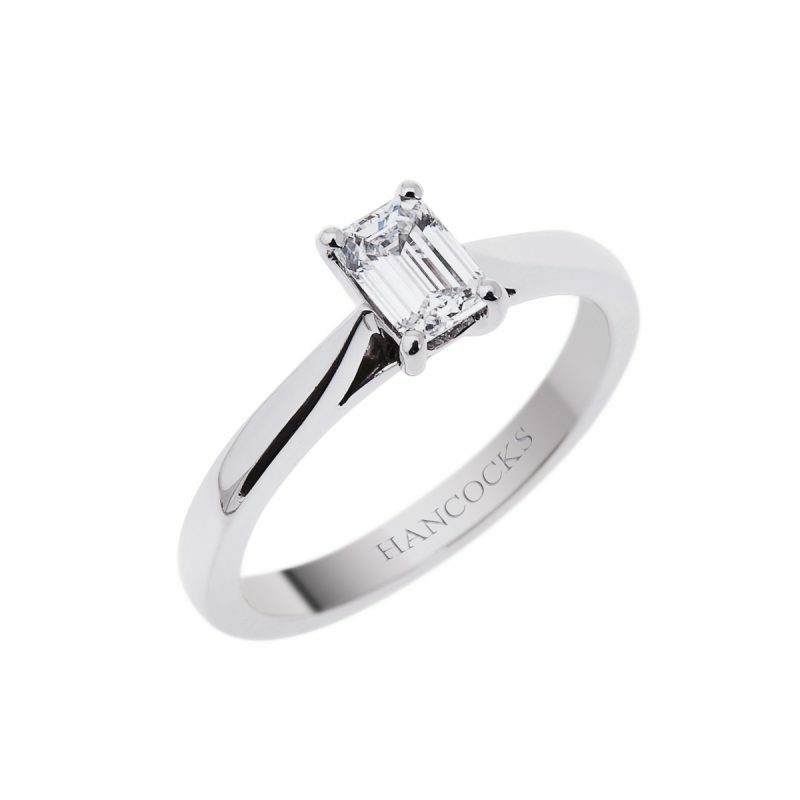 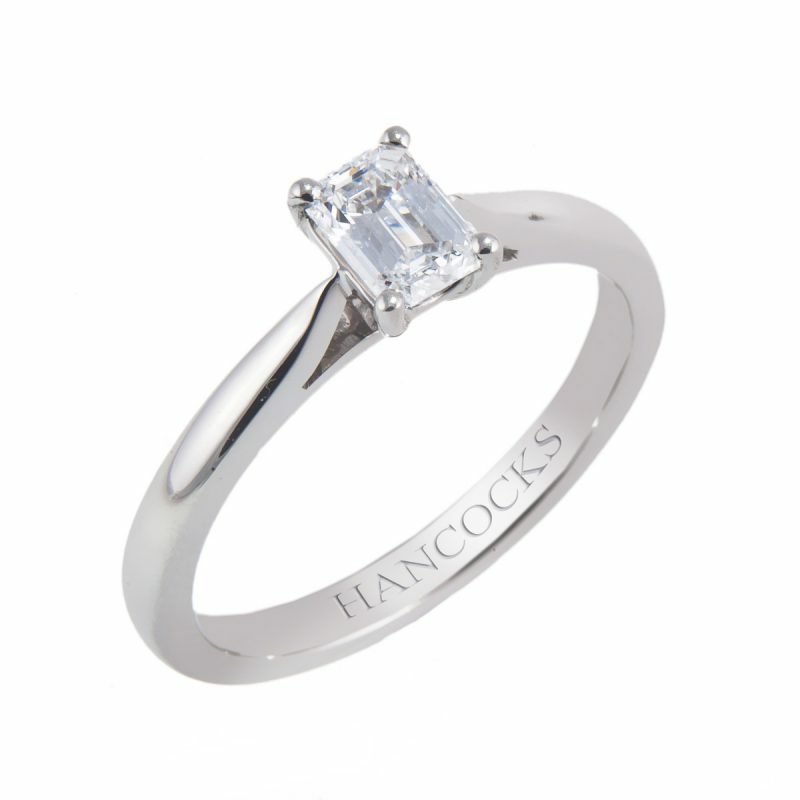 With sweeping under bezels that allow the wedding band to fit seamlessly. Mounted in a platinum handmade claw setting, this subtle and understated cut produces a sophisticated ring that speaks of impeccable taste.